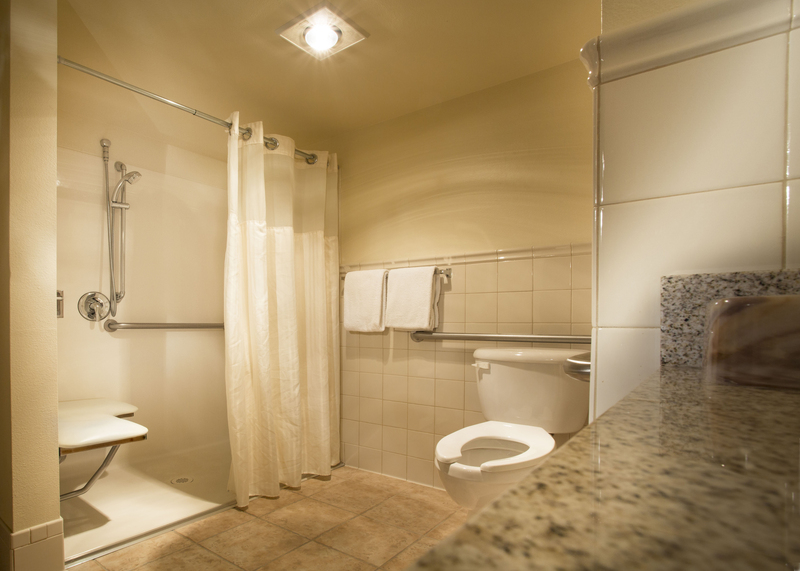 We also have a number of large accessible rooms which are designed to be mobility accessible and feature a roll-in shower. All of our rooms are 100% smoke-free. 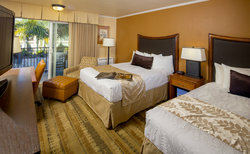 We also offer a variety of pet-friendly rooms depending on availability. 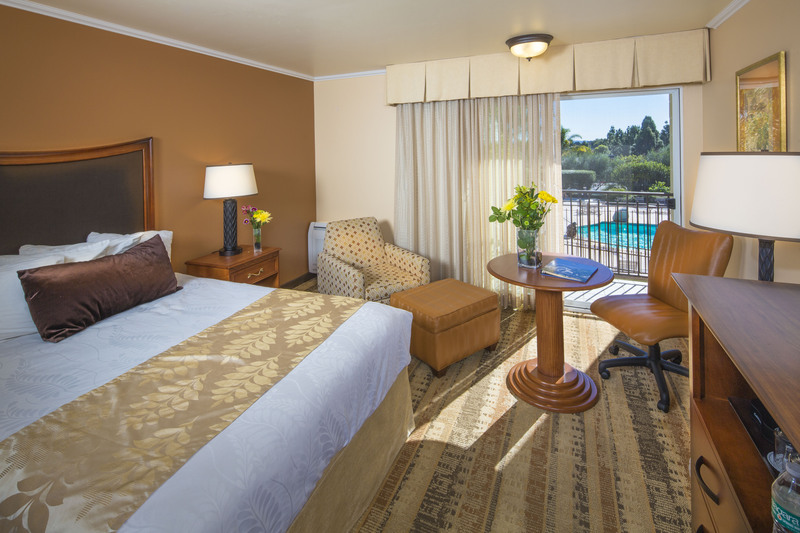 Relax in one of our spacious King hotel rooms in San Luis Obispo, featuring a plush king-sized bed, modern bath amenities, desk with an ergonomic chair, and a private balcony. 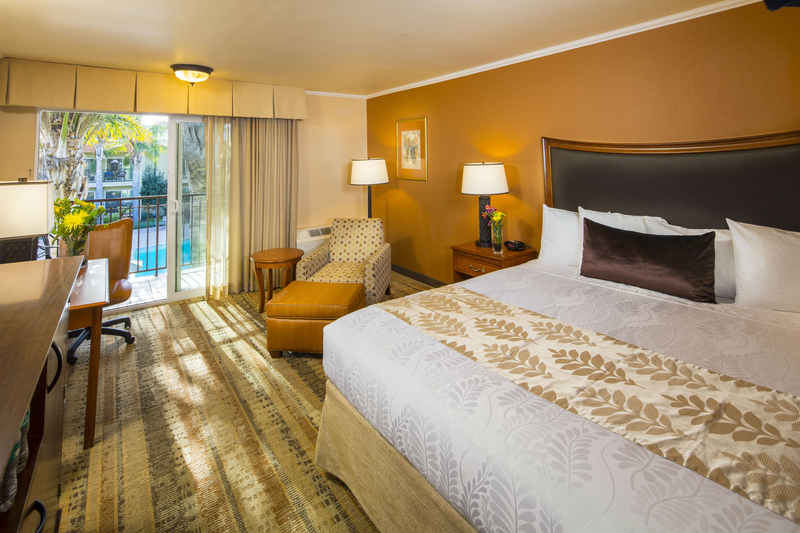 Get comfortable in one of our spacious Pool View Premier King guestrooms, featuring a plush king-sized bed, modern bath amenities, desk with an ergonomic chair, and a private balcony overlooking the hotel pool. 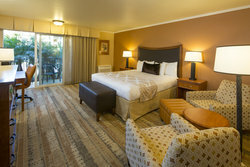 These hotel rooms in San Luis Obispo are pet free. 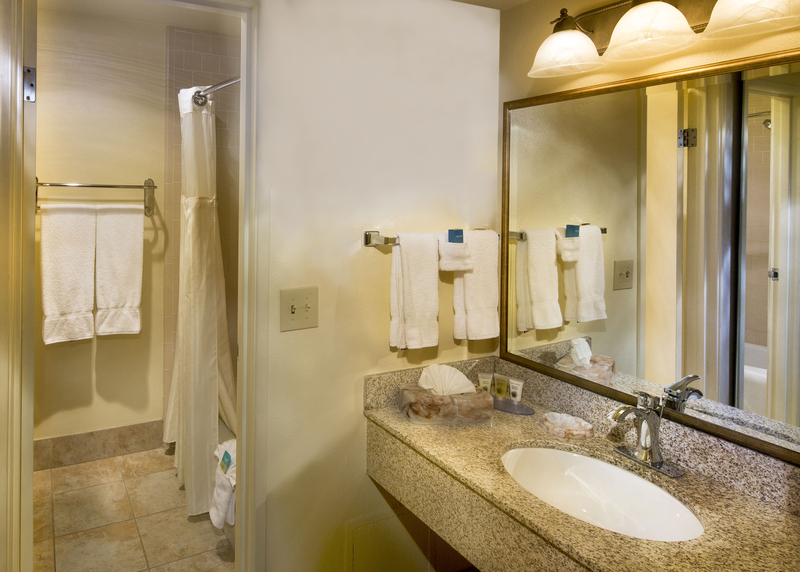 Our oversized Deluxe King guestrooms feature a plush king-sized bed, two cushy armchairs, modern bath amenities, desks with ergonomic chairs, and private balconies. We offer 2 types of Deluxe King Rooms - One with a Pool View and One without a Pool View. These rooms are Pet Free Rooms. Unwind in one of our beautiful Pool View Queen Rooms, featuring two queen beds, modern bath amenities, desk with an ergonomic chair, and a private balcony overlooking the hotel pool. 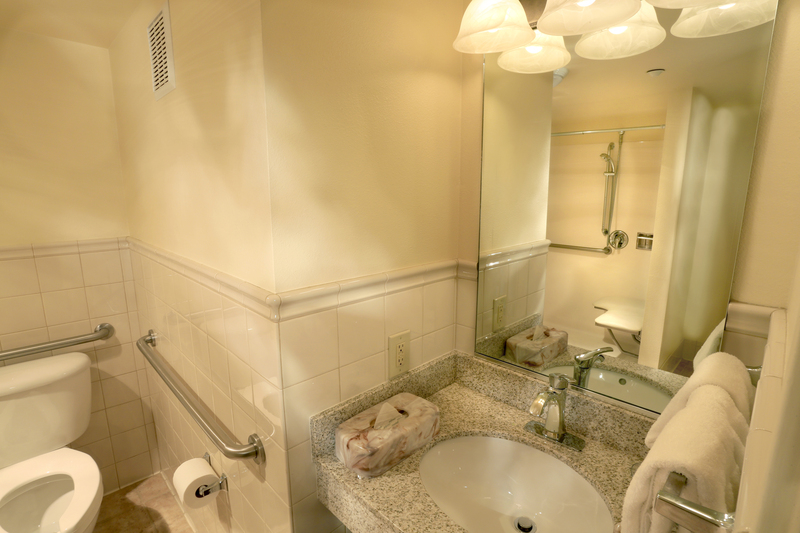 Settle into one of our inviting Queen Rooms, featuring two queen beds, modern bath amenities, desk with an ergonomic chair, and a private balcony. 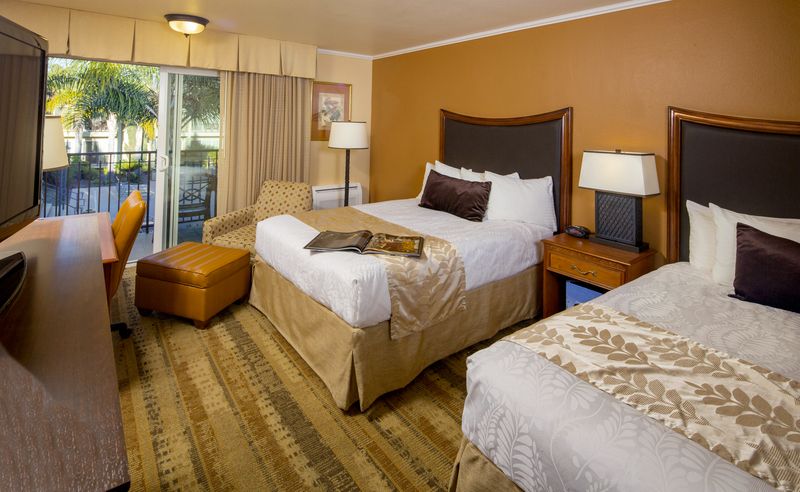 With comfortable space to work or relax, our spacious and accessible guestrooms feature one queen bed and a patio with sliding glass doors.